December 2013 - New Key shipmates added in December 2013. Letteney, Lawrence 65 - 67 Plank Owner; Watson, David 88; Skinner, Wayne 70's. December 23, 2013 - Tom Courtien noticed an obituary that mentioned that the person once served on the Key. His name was Wayne Skinner. We do not have any of the details about Wayne's time on the Key so any shipmates that remember Wayne, please send any into to us for his memorial area. We have added Wayne to the Eternal Patrol list. Rest in peace Wayne - Job well done. November 2013 - New Key shipmates added in November 2013. Grube, Richard 75 - 79; Applebee, Ron 79 - 82; Eddinger, Danny 79 - 82; Furst, Gary late 70's. Check Crew List for details. November 12, 2013 - Just learned of the passing of Gary Furst, served on the blue crew in the later 1970's. 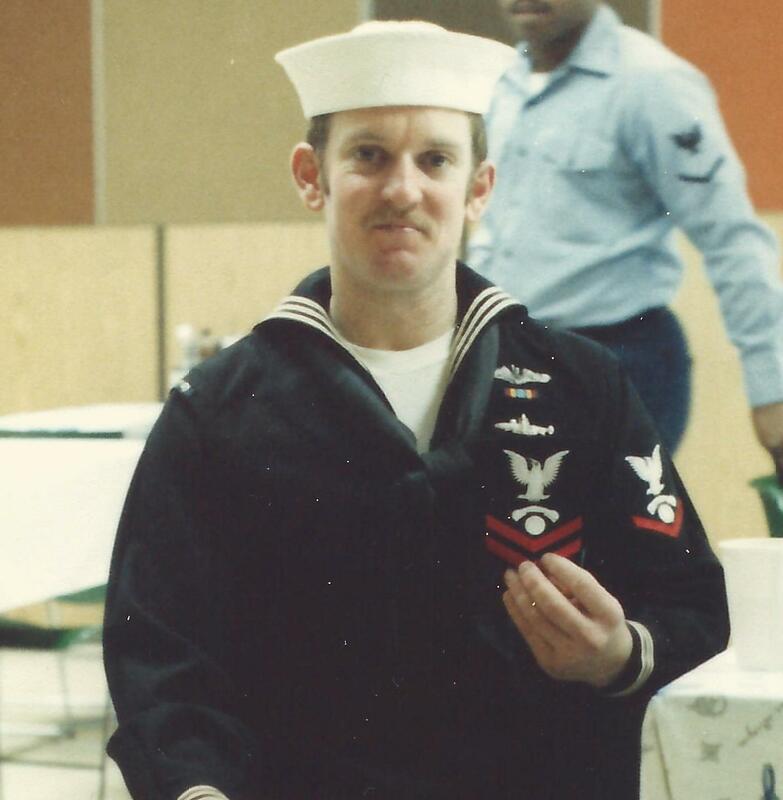 Shipmate Richard Grube told us that Gary passed away in an auto accident in 1997. We have added Gary to the Crew List and the Eternal Patrol area. Rest in peace Gary with all your other shipmates - job well done. October 2013 - New Key shipmates added in October 2013. Seidel, Patrick, XO - 92 - Decom. Check Crew List for details. 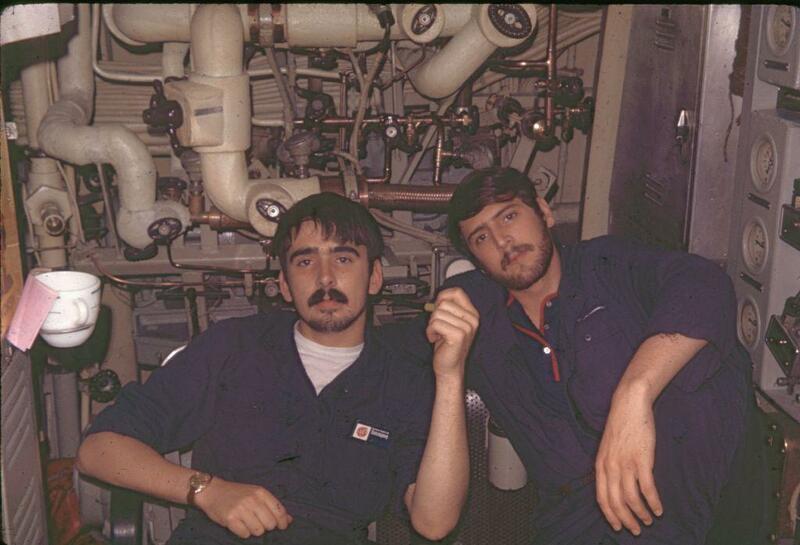 October 18, 2013 - Received news of the passing of another Key shipmate: Dennis Gertz, gold crew 76 - 78, sonar. His obituary can be viewed in Eternal Patrol. Rest in peace shipmate. Job well done. September 2013 - New Shipmates added in September 2013. Finley, Lester 88 - 92. Check Crew List for details. 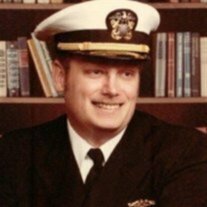 September 25, 2013 - Just received new of the passing of Chief Chuck Winsor, blue crew COB and shipmate from 1970 - 1974. Chuck passed on Monday, Sept 23 in Port Townsend, WA. Our deepest sympathies go out o his wife Bev and family. I served 4 years on the Key with the Chief and the picture of him below was taken at my re-enlistment ceremony. Chief, rest your oar. Job well done. August 2013 - New Shipmates added in August 2013 - Dillard, Steven M 82 - 86. Check Crew List for details. August 16, 2013 - A sad update today as we have three Key shipmates to add to the Eternal Patrol list. Paul Conti - Gold Crew 1970's; Steven Dillard - Both Crews 1982 - 1986; Bob Maufroy - Blue Crew 77 - 81. The boat on Eternal Patrol just got a major upgrade to its crew with the addition of these three men. You can read the details by clicking on Eternal Patrol. Also, please feel free to e-mail any comments or stories to add to the memorial area of each of them. The pictures below are Paul, Steve and Bob in that order. Our sympathies go out to all the families and friends of these men. Rest your oars shipmates - jobs well done. July 31, 2013 - I have created a list of those who are thinking of attending the 2014 Key reunion. Reunion 2014 Attendees. If you think you might attend, just e-mail me your name, years served on the Key, Crew (B or G) and anyone that will be attending with you. I will add you to the list. This doesn't mean you will attend, just that you might. I can remove your name if you decide not to attend. By creating this list, shipmates can see those they would like to reconnect with. The reunions are a lot of fun and you will not be disappointed if you attend. The list is currently in a rough form as I am traveling but I will fix it with all the pertinent data by Aug 15 so send your intentions to ssbn657@comcast.net. June 13, 2013 - Received notice from Jeff Burke of the passing of William "Willie" Jarnagin 84 - 89 Blue Crew on June 6, 2013. We have added Willie to the Eternal Patrol list and wish his family, friends and shipmates our sympathies. Rest your oar shipmate, job well done. May 2013 - Shipmates added in May 2013 - Hayes, Jim 78 - 80. Check Crew List for details. 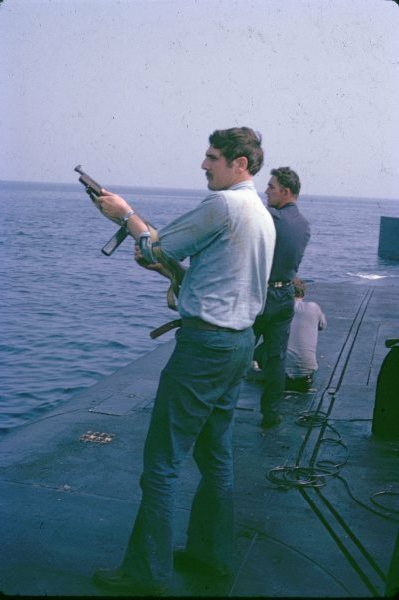 May 31, 2013 - Just received notice of the passing of shipmate and friend, Steve Rosen TM 2 Blue Crew 67 - 70. It is always difficult to add a shipmate to the Eternal Patrol list especially when you served with him. Steve even signed my qual card. We all send Steve's family our deepest regrets - and to Steve we say; Sailor, rest your oar - Job well done. May 6, 2013 - We are now one year away from the next Key Reunion which will be in the Baltimore, MD area in conjunction with the 200th anniversary of the writing of the Star Spangled Banner by FS Key. We hope that many Key shipmates are able to attend this special reunion. If you are only going to go to one reunion, make it this one. April 2013 Shipmates added in April 2013. Oakley, Keith 83 - 89; Wareing, Ralph Jr 84 - 89. Check Crew List for details. March 2013 - Shipmates added in March 2013. Phillips, Patrick 88 - 92; Bragg, Tom 66 - 68; Mills, Keith 72 - 77. Check Crew List for details. 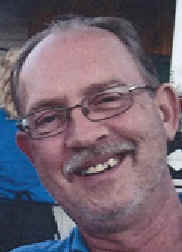 March 24, 2013 - We were recently notified of the passing February 23, 2013 of Terry Byrd, 69 - 72 E-Div Blue Crew. We have added Terry to the Eternal Patrol list and send our regrets to his family, friends and shipmates. Rest your oar shipmate, job well done. March 16, 2013 - The muster form on this web site, used to add new shipmates, has been abused by an ad crawler that is sending dozens of bogus ads every day. I have deleted the Muster button on the form which will prevent any further transmissions from the muster form. New shipmates will now have to e-mail me their current information to ssbn657(at)comcast.net using the @ instead of (at). If I put the real e-mail address in complete form, the ad crawler will begin sending ads to that address. February 2013 - Shipmates added in February 2013. DeMotte, Michael 90 - 93 Decom; Garner, Jeffrey 85 - 89; Golling, James 88 - Decom; Gulley, Jim 79 - 81; Towles, David 90 - Decom. Check Crew List for details. 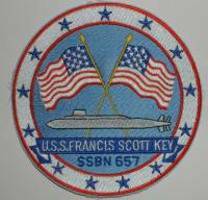 Hello - my father, James L. Bohli, served on the USS Francis Scott Key (Gold 70 - 73) and he passed away in August 2012. I am planning a memorial for May 4th at The Nautilus in Groton. I am looking for contact information for anyone that served with him. Even if they are not able to attend I would love stories about him. Of course ones that can be shared (haha). My email is bzymomjamie@hotmail.com or my phone number is 860-908-1176. Thank you very much. January 2013 - New Key shipmates added in January 2013 -Cox, Timothy R. - 72 - 79; Heckert, Larry 80 - 82; Satterwhite, Douglas 81 - 84; Terrell, Clyde 73 - 77; Burton, Billy 67 - 69. Check Crew List for details.